Propecia | Your Health. Your Lifestyle. While hair loss may seem to some as just a cosmetic inconvenience, $7 billion is spent each year on treatments. Androgenic alopecia, also known as male or female-pattern-hair loss, affects about 30 million American men and 20 million women. 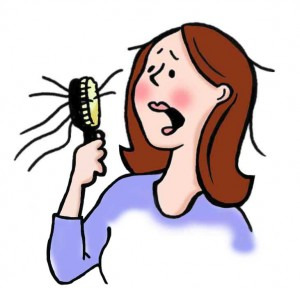 Despite the large number of people who share the condition, many experience a negative psychological impact as a result and search for ways to get their hair back and keep it. While most procedures and treatments may sound harmless, there are thousands of products available that do not work and cause even more damage. The same goes for the thousands of physicians who make false claims about successful hair transplants. Scientific advances offer good news for those looking for help. A number of new and exciting areas of research are currently underway both in the United States and Europe that could mean an end to unsuccessful cover-ups and painful procedures. In 1997, the FDA approved the first oral medication, finasteride (Propecia), to treat hair loss. Also approved that year was a stronger version of the topical solution minoxidil. These are the first FDA-approved treatments clinically proven to stop hair loss and regrow hair. Finasteride is among the class of drugs called 5a-reducatase inhibitors. They block the breakdown of testosterone into DHT, a hormone known to be associated with hair loss. The drugs can be used by both men and women experiencing hair loss but are not recommended for women of child-bearing age because of potentially harmful side effects to a male fetus. There is also encouraging news from pharmaceutical companies about new, stronger and more effective treatments currently being studied. Some of the most exciting research from the hair loss field recently comes from Colin Jahoda of Durham University in England. (Dr. Jahoda has successfully transplanted the hair cells from the head of a man to the arm of a non-blood-related female.) Within five weeks, the transplanted tissue, which was no larger than the size of a pinhead, sprouted five fully grown hairs. There was no sign of rejection of the cells despite using no anti-rejection drugs. Researchers say this could one day lead to a quicker procedure with little cutting involved. Cell cloning, also called tissue engineering, is another avenue of research that may soon change the look of hair transplants, making them more natural looking. The idea behind the procedure is that researchers can make an unlimited supply of transplantable hair in the lab. Hair is taken from the back of the head and specific cells responsible for growth are isolated. The cells are then grown in a lab before being transplanted into the balding area. Unlike traditional transplants that have a limited number of hairs that can be transplanted, this allows for a limitless supply. Another method for creating a more natural-looking transplant that is being used on humans is called follicular unit transplants. The procedure was started by Dr. David Seager in Toronto, Canada, in the mid-1990s. Since hair grows in follicular units, combinations of one to four hair follicles in the same area, the follicular units are removed and implanted in their natural state, rather than removing hairs individually and transplanting them alone. This gives a more natural look to the hair. Hair loss and re-growth has become a hot area of research in the past few years. With the growth of genetic research, there may be even more breakthrough treatments coming in the next five to 10 years. Imagine the possibility of researchers manipulating a few genes and being able to prevent anyone from experiencing hair loss. It’s an idea that may sound far away, but one that we may actually see in our lifetime.